They have put me to bed and fed me. They listen to what is going on and try to accommodate my needs. It allowed me to go out and run some errands and do a few things outside the home. They were real people and everything was good. They are very personable and helpful. They take a load off my wife and her worries. They seem to really care what they are doing. They have a good business practice and they're really caring. I've already recommended them to several people. I like the people who run it and the caregivers they've selected. They wash my clothes, make my dinner, take me shopping, and take me to the doctor. They are all excellent. They're good, efficient, well-organized, and I have had no problems. I don't drive myself and they can drive me around. I couldn't ask for a better agency. They are family, and they are good at what they can do. They have given me some time away from my caregiving duties. I feel that they are reputable, caring, and that they want the best for my loved one. They have put a roof over my head. I would say that they are fantastic, and I am so lucky. There is an ease of how things run with Right at Home. This is the second time that I have used Right at Home. The services have been excellent. They give me meals, provide transportation, and do household duties. They are patient and cheerful, have a good work ethic, get the job done, and are good cooks. They are always willing to do what they can. In my mother's life, the impact comes from someone taking care of her. I don't feel well, so the care allows me to get myself better while I know that my mom is getting her needs taken care of. I don't have to worry because I know she is in good hands. They have quality caregivers. The ones who have come to the house have been trained well and handle my mother's care. I couldn't ask for anything better. I live in No Carolina and flew out to meet the James' before they started caring for my father. It was so nice to be able to know how kind and professional Right at Home of OC was. I was able to communicate from across the country and feel better about not being able to be there myself. Greg and Pat J are two Very Caring people. They love what they do and it shows! They bent over backwards to help our family. It was so nice that they got to know my father so that they could better serve his needs and the needs of our family. All my Thanks and Love to Pat and Greg. Great service! Kind and compassionate. My mother enjoyed Meagan. Thank you Greg James for providing such a needed service in the home. We will recommend your company! I have signed up with and am currently using Right at Home. Right now, it is a caregiver who comes in twice a week for about 4 to 5 hours each time and primarily just being there so my husband doesn’t fall -- particularly helping him with showering and toileting and things like that. Right now he just needs somebody to be there when I am not here. They are delightful people. As we visited with them the first time, my husband actually wanted them to be the ones that came and did the caregiving. They are just very caring, very personable, and nice people. We did find an in-home care agency. It’s Right at Home Coastal Orange County, and it is right near where my in-laws live. My in-laws like them very well. They like the caregiver who is coming. They’re very happy. She comes two days a week for three hours a day. She has been very good with them. She has done everything that my husband wanted her to do like take his dad for walks and basically just be there for the help that they need. They provide anything that they need to have done. They do a little housekeeping, they take them to the grocery store or to medical appointments, and they take my mother-in-law to get her hair done. They really love the woman who is coming. She does some cooking, and she helps them with bathing. I am pleased to report that I believe Arlene is a fine employee. She is always prompt, courteous and polite with me and others. I am proud to have such a pleasant arm to guide me where I need to go. More importantly, she is a good driver! Thank you for sending her to me. In a very stressful situation caring for my husband who had suffered from a stroke, the help they provided gave me the support and trust that I needed to provide additional help as needed. The caregiver was kind, nurturing, and trustworthy. An A+ to all!! My 90+ mom was at home with me in final stages of dementia just prior to memory care facility admittance for safety reasons -- not easy! I had the unequaled pleasure of working with five different caregivers from Right At Home. Each one exceptional! True quality people -- capable, reliable, engaged, so helpful, patient, and kind towards my mom. Just the best, thank you! Everyone in the company has the highest level of integrity and professionalism. The caregivers took great care of my father. Jaime was wonderful from the first day I called for help until the day we no longer needed their services. Pat and Greg truly have their clients' best interest at heart. Thank you for all your wonderful help and care you not only provided for my grandmother but for the entire family as well. Bonnie was fabulous. I have never met such a caring and unselfish person. Your whole team was great. I would recommend your company to anyone in need. P. & G. Janes from my first call/contact were caring and warm professionals. I felt they really cared and wanted the very best for my father almost as if he was their father! I have nothing but good things to say and thanks for the Janes'. They are careful and prompt. Courteous service from both office and caregiver staff. Right at Home are "super stars". The admin, office staff and caregivers were the real thing. They are caring,loving and professional. Right at Home is an exceptional provider with whom I have had nothing but positive experiences. Patricia in particular has helped my 90-year old mother on several occasions. I was so impressed by her kindnes, professionalism and understanding. She made a real connection with my mother. She's diligent and attentive and followed with a thoughtful update each time. I am so grateful for her patience and good nature. I would call no one else! 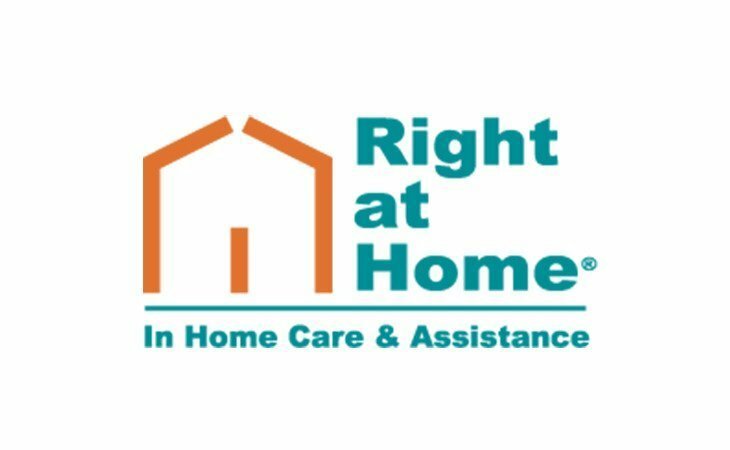 What should caregivers and potential clients know about Right at Home Coastal Orange County?